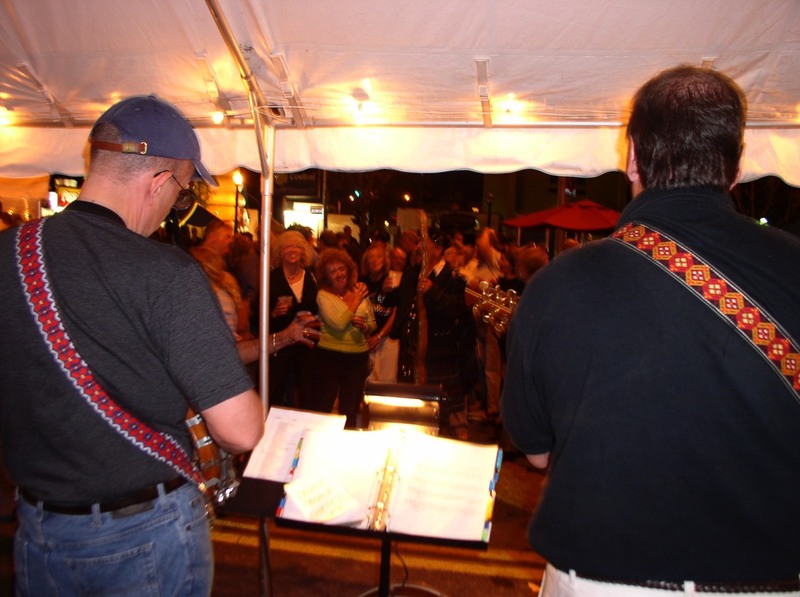 Quigsy & the Bird is the acoustic group founded by Jim Quigley and Jerry Berdan. 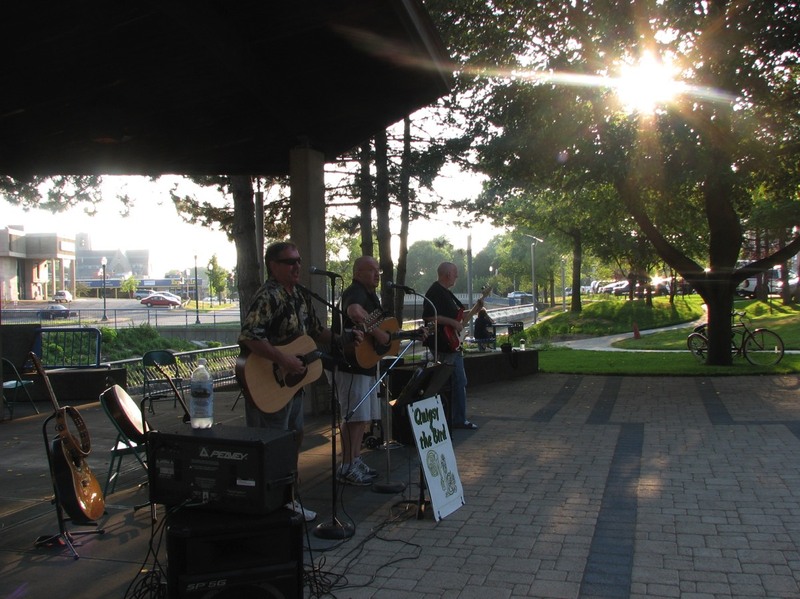 They’re natives of the west side of Syracuse and have played music together since 1965. 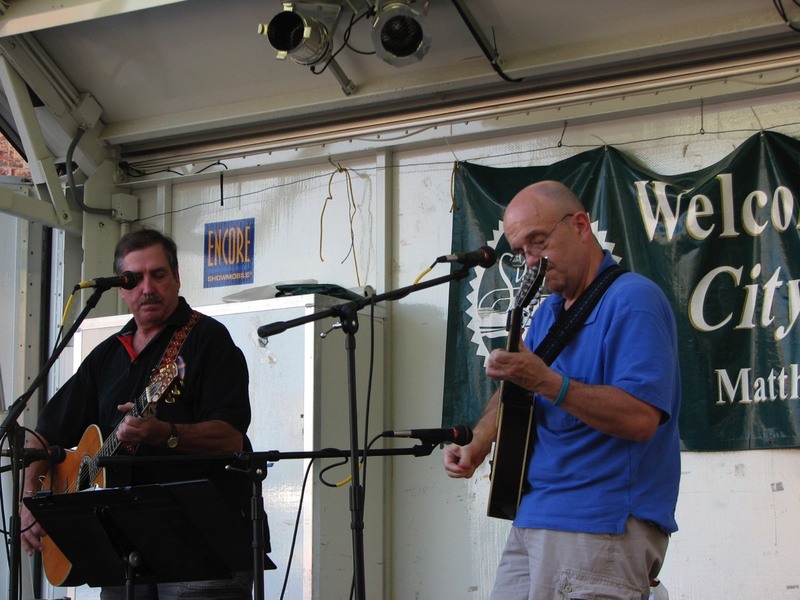 In 1981, Jim and Jerry started playing Irish Pub music, and have played their versions of Irish folk songs at festivals, pubs and parades ever since. Irish Pub Music is the folk music played in the pubs of Ireland, from Dublin to the smallest of villages. The pub is center of the social life of Ireland. Families gather nightly, both adults and children, to meet friends, have a little food & drink, and sing songs with whatever instruments and players happen to be there. This is the music of the Clancy Brothers, Tommy Makem and many other groups and individuals. It is characterized by stringed instruments: guitar, fiddle, banjo, and Irish bouzouki. And then there is the traditional Irish drum, the bodhran, that provides the percussion. Quigsy and the Bird play a variety of instruments, too. Each plays guitar, both 6 string and 12 string acoustic. They also play a 5 string banjo, an instrument that migrated back to Ireland from America, and an Irish Bouzouki. The Irish Bouzouki is a variation of the greek instrument, but with a flat, rather than rounded, back. It is sometimes called an octave mandolin or a mandola, and is an 8 string instrument, 4 sets of two strings, and is usually tuned an octave below a regular mandolin. This instrument was popularized in traditional Irish music by Donal Lunny, of Planxty and the Bothy Band, starting in the mid 1960’s. The bodhran (pronounced boron) is a circular drum played with a carved wooden stick known as a tipper (traditional name is actually cipin). They can be anywhere from about 12 to 24 inches in diameter, traditionally covered in goatskin, although many bodhrans now use other leathers or synthetic materials, too. The player beats the tipper on the outside of the drum while using the other hand on the back side of the drum to change the tone of the instrument while it is played. The bodhran is similar to the hand-held drums of many other traditions. On the lighter side, the bodhran is the object of lots of jokes, too (e.g, What do you call someone who likes to hang around with Irish Musicians? – a bodhran player).